The most important of these is the P&L. No business can be run without numbers. Numbers serve as a thermometer that measures the health and well-being of the enterprise. Numbers are symbols, very much like words, with their own intrinsic simple meanings when they stand alone and far more complex and meaningful when in the context of pertinent other numbers. There is nothing unique or unusual about the importance of knowing your numbers. However, the difference between well-managed companies and not-so-well-managed ones is the degree of attention they pay to their numbers. 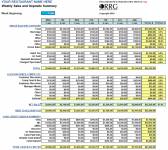 If you do not produce regular monthly financial reports on your restaurant, you are flying blind. One critical mistake often made by new restaurant entrepreneurs is that they think they can save a few dollars by doing their own accounting and get by without the expense of a professional accounting service. However, like the saying, The individual who chooses to act as his or her own lawyer in a court case has a fool for a client, so is the restaurateur who believes he does not need the services of a professional hospitality accountant to set up his business books. 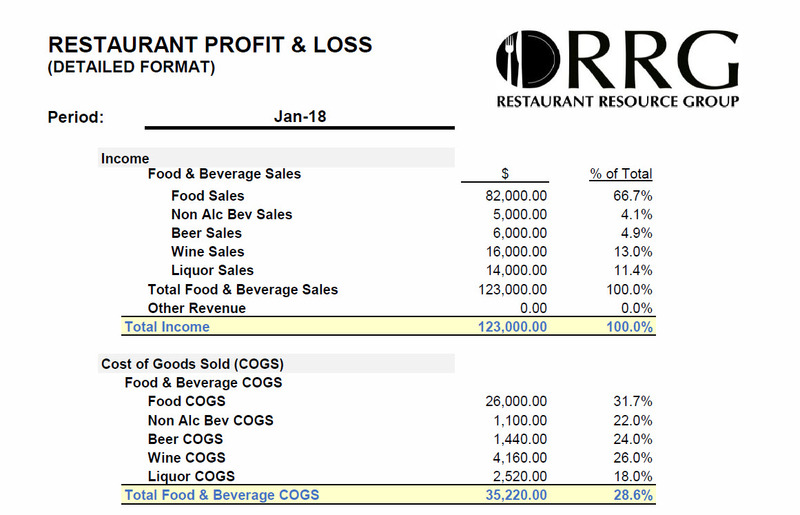 My personal experience in working with independent restaurant operators who choose to do their accounting in-house is that their accounting records and reports are marginally acceptable to the IRS for income tax purposes and woefully inadequate as financial management tools for evaluating the financial condition of their restaurant. In one case, I worked with a financial institution when one of their loan customers stopped paying their business loan. I was asked to look into their situation to see if foreclosure could be avoided. The couple that built and operated this restaurant had collateralized their loan with their life savings and retirement funds. The first thing I asked to see was the financial statements for the last 12 months. When I reviewed them, I was unable to assess the financial condition of the restaurant because the statements were prepared using cash accounting instead of accrual accounting. The local public accountant they used was not familiar with hospitality accounting and the Uniform System of Accounts for Restaurants. When I asked the accountant why he was not using accrual accounting, he replied that there were tax advantages in using cash accounting. Of course, that was a moot point since the business had never made a profit. But the biggest travesty of using the cash system was that it had hidden the fact that their costs were way out of line. In fact, a break-even analysis showed they were never going to be profitable. The primary purpose of monthly financial statements is not to serve as an IRS form to determine your tax liability. The purpose is to be able to assess the effectiveness of the owner’s decisions on the financial performance of their business. Every decision a restaurateur makes has financial implications. Adding or deleting a menu item, adding or eliminating an employee position, changing a menu price, giving an employee a raise, selecting a new vendor for your supplies, changing the portion size of an entre and changing your hours of operation all have financial implications. Your goals should be to increase sales, reduce costs and increase profit. These are the objectives for any decision you make for your business. The bottom line is that if you do not know your numbers, you do not know your business. The first and most important point about numbers is that they must be accurate and collected in a timely manner. 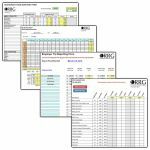 I was asked by a successful independent restaurant operator to assess his business and determine its value. I agreed to do so without any charge and asked him to provide me with the past 12 months of income statements and balance sheets. I began to suspect something was awry when he asked me to guess what his food cost was running and told me to guess. My response was 27 percent? He said it was 17 percent. No restaurant should run that low of a food cost because in order to do it, prices would be outrageous, the portions miniscule and the quality dubious. That was not the case with this restaurant. When I looked over his accounting records, which he did himself with QuickBooks; I saw several glaring flaws in his accounting. Again, he was using cash accounting instead of accrual accounting, and he did not separate his beverage sales from his food sales in calculating his food and beverage cost percentages. When I examined the current assets section of his balance sheet and did not find an entry for food or beverage inventory, this told me he was not taking inventory each month and that the numbers he used for food and beverage cost on his income statement were likely the purchases (invoice totals) for the month. The reason he came up with a food cost of 17 percent was because he was dividing food purchases by total sales when it should have been only food sales. In addition, the sales figure he used was gross sales, which included sales tax. It seems that there are operators who are numbers people who enjoy analyzing financials, and then there are those who are not and are uncomfortable with numbers. Those who are not often defer collecting and recording numbers to someone else, and do not really understand what the numbers are telling them. They may not even keep track of customer counts, sales or the preparing of reports. The latter are numbers that every restaurant manager, let alone owner, should check every single day. The amount that is used for food cost on your income statement must be cost of food sold, which must be calculated using the formula Beginning Inventory plus Purchases minus Ending Inventory. That calculation produces cost of food consumed, and the Uniform System of Accounts uses cost of food sold, which is cost of food consumed less employee meals, discounts and complimentary meals, food transfer to the bar and recorded waste. My first recommendation was to take a monthly inventory and extend it. Despite my recommendations to get that information, his operations manager slow-played the process and after three months I withdrew without ever getting an inventory value. The owner was not a numbers person and had delegated this important task to his operations manager. I knew that this was not a good situation and one that should not be permitted. It preyed on my mind so much that several months later I asked him if he ever got the inventory completed. They had not. I then told him that as long as he did not have a month-end inventory, he was vulnerable to the same fraud that had nearly bankrupted the company earlier. The detail needed by an operator on their financial statements is far more detailed that that needed by the IRS to determine tax liability. 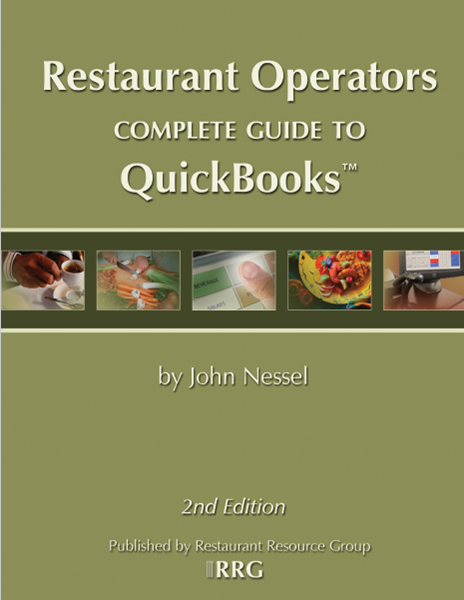 I recommend that, at least initially, new restaurants should retain the services of a professional hospitality accounting firm or consultant to set up their QuickBooks file and procedures. The cost of this service is about 1 percent of your sales, and that is the best money you will ever spend. The restaurant accounting professional will show you how to record your daily sales and deposits, payments for supplies and payroll, and they can prepare your sales tax and payroll tax forms each quarter. Your in-house bookkeeper can assemble the data for your accountant and use QuickBooks to do that if you wish. If, after a year you believe that cost for such services and peace of mind is too much and you are a numbers person, you can consider doing everything in-house because you will have a template for what you need to do. One caveat is that in-house accounting is NOT the way to go if you are NOT a numbers person and the recommendation to do away with the outside accountant is adamantly supported by your in-house bookkeeper. You need to have a system of checks-and-balances when it comes to your financial records. When you have mastered the numbers, you will no longer be reading them any more than you read words when reading a book. You will be reading meanings. Your eyes may be seeing numbers, but your mind will be reading food cost, market share, gross profits, prime costs, etc. All the things you are doing and planning will jump out at you, if you will only learn to read through the numbers. Dr. David Pavesic is a former restaurateur and retired professor at the Cecil B. Day School of Hospitality at Georgia State University.